We have had a great lambing season this year and are all finished now. The lambs are a lovely mixture of black, brown and white. 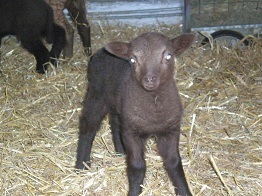 The pure Manx Loaghtan lambs are always dark brown and grow horns and these are pedigree lambs. The black and white lambs are Manx Loaghtan crossed with Southdown.